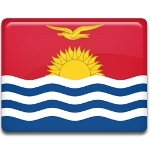 Gospel Day is a public holiday in Kiribati. It's annually appointed to the nearest day to National Day, celebrated in July. Before Christianity spread across Kiribati, traditional religion prevailed on the islands. The first European settlers, among them were representatives of different religions, arrived to the islands in the 19th century. They converted the islanders to their religions, as the result the majority of population of Kiribati (about 56%) are Roman Catholic, another substantial portion of the population (about 34%) is Congregationalist Protestant. The last 10% of population are Jehovah's Witnesses, Bahais, Mormons, Muslims etc. Gospel Day is organized by the Roman Catholic and Protestant churches. The celebration of the holiday is usually held at the Bairiki National Stadium in the capital of Kiribati. One of the heads of two churches conducts a combined service. The religious service is followed by celebrations in the center of each village, where people dance and sing in a choir. Religious songs are sung by separate groups of two churches.